Aldershot Pools and Lido On the same complex, you can do the play gym, then head down to the lido. A Dance Studio is also available. Prices on application. Parents: Please ensure that long hair is tied back neatly and that any jewellery is removed before attending training. Any form of Body Piercing could invalidate your insurance. PARENTS WHO STAY TO WATCH THE BEGINNER CLASSES ARE REQUESTED TO USE THE CAFETERIA AND TO KEEP ALL YOUNG CHILDREN UNDER CONTROL AND QUIET. IT IS VERY DIFFICULT TO TEACH A CLASS WITH EXCESSIVE NOISE COMING FROM THE WAITING AREA. PLEASE HELP THE COACHING STAFF IN THIS MATTER. Our rules are minimal and designed for the maximum safety of your child and the other children in their class. Please help us to keep our excellent safety record. The Rushmoor Gymnastics Academy is able to offer to those wishing to hire the facility for Birthday Parties a super soft play area with FOAM PIT, HUGE BOUNCY CASTLE for the very reasonable price of only £195.00 for two hours plus a deposit of £15.00. This consists of 1¼ HOURS IN THE GYMNASIUM and ½ HOUR in the café area plus 15 minutes to clear up. You can bring your own food to serve the children. (Maximum age 10 years). 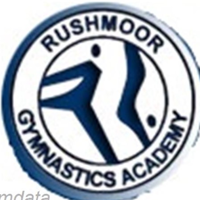 The Rushmoor Gymnastics Academy will provide a party supervisor to help you ensure that the safety regulations are complied with. A maximum of THIRTY youngsters please, under the age of 10. Please bring one ADULT supervisor for every SIX children. Children with SPECIAL NEEDS must have one to one supervision at all times. Please respect the gymnasium, no outdoor shoes on the mats, and no drink or food in the gymnasium. Please be kind enough to vacuum any food dropped on the floor and clean and tidy the café area IN ADVANCE of the end of the agreed period of hire. Please leave the facility PROMPTLY at the agreed time. Should you wish to extend the period of your party, you may do so by prior arrangement and payment of an extra hire charge. No disco Equipment. We can provide CD or Tape Players. Please feel free to bring your own music. PLEASE no face paints, as these can permanently stain the furniture and equipment. Mums and Dads, please remember that the Party is for children under the age of 10. Adults are there to supervise ... not participate! YOU ARE NOT INSURED!. Although we would like to continue our policy of two hours exclusive use for hirers, an increasing number of people are arriving EARLY, AND/ OR LEAVING LATE for their parties, thereby causing inconvenience to other hirers and to the Coaches supervising. WE NOW HAVE TO TIGHTEN UP CONSIDERABLY ON OUR RULES, AND SHOULD YOU EXCEED THE TWO HOURS STATED, WE WILL BE UNABLE TO REFUND YOUR DEPOSIT.